Enjoying a cold craft beer while your kids are happily occupied has become a trend among parents, and restaurants and breweries have risen to the occasion. 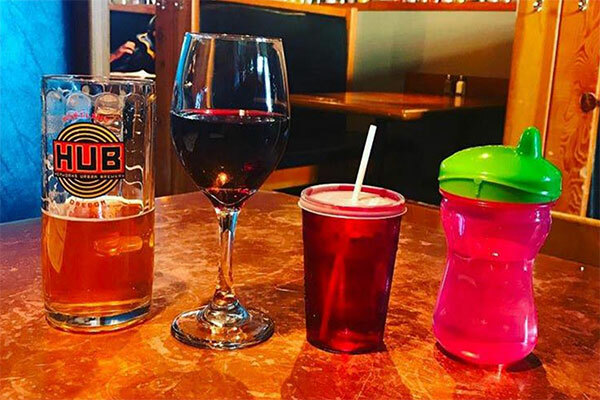 Many places now provide entertainment, amenities and specialty menus for pint-sized kiddos while their moms and dads enjoy the actual pints. Hopworks Urban Brewery, or HUB, is a Portland parent favorite, and includes play areas stocked with toys and books for kids while mom and dad drink an organic beer at HUB’s two locations (Powell and Bikebar), which also feature Tot Tuesday and Tot Thursday, featuring story time, crafts and free snacks. Organic baby food is available here, too, in addition to a kid-friendly menu. 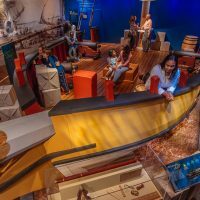 If you’re in Vancouver, check out HUB’s location there, too. McMenamins Kennedy School – Portland, Ore.
A soaking pool and movie theater all housed within a renovated 1915 elementary school gives McMenamins Kennedy School top marks among parents, who are also fond of the onsite Concordia Brewery, serving up favorites like Playground Porter and Yule Shoot Your Eye Out Double IPA. 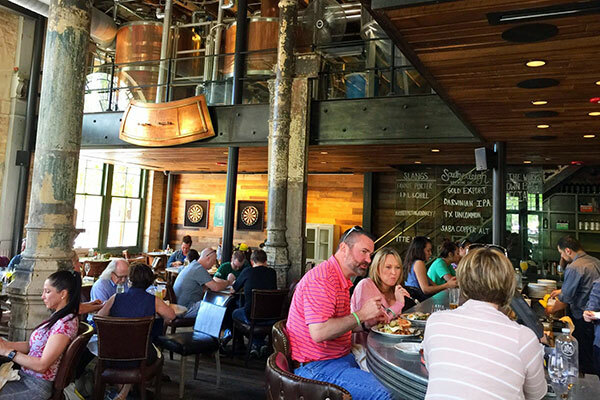 At this brew pub located in San Antonio’s trendy Pearl district, which is named for an 1881 brewery, kids can order up a pretzel and shape the raw dough themselves, to be baked as twisted and delivered to your table to be sprinkled with cinnamon sugar. Adults love the unusual beer selections, such as Texas Uncommon Ale (brewed with mint) and THOT (That Heirloom Over There), a tomato gose at Southerleigh Fine Food & Brewery. Throwback Brewery – North Hampton, N.H. Kids and parents both enjoy communing with the chickens, goats and pigs that roam the 1860s-era working farm onsite at Throwback Brewery. Spacious areas for indoor and outdoor seating are ideal for enjoying the PB&J sandwiches on house-made spent grain bread and ice cream sandwiches made with spent grain cookies. Mount Gretna Craft Brewery – Palmyra, Pa. The founding principle of Mount Gretna Craft Brewery involves inviting neighbors and families to make memories together over a shared love of ale. It’s also home to the Red Canoe General Store, a coffee bar located next door, which hosts instructor-led DIY projects for kids like making dreamcatchers and terracotta owls and a book club for babies and preschoolers. 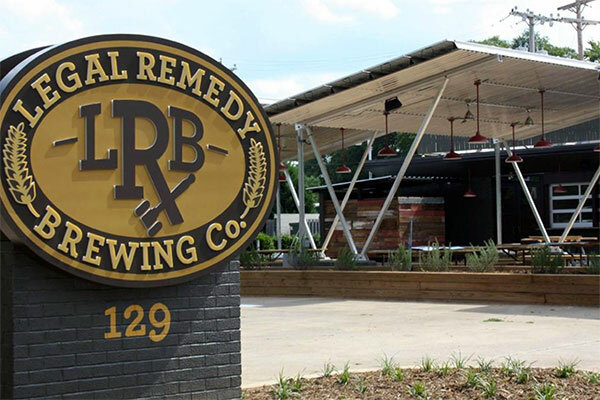 Legal Remedy – Rock Hill, S.C. 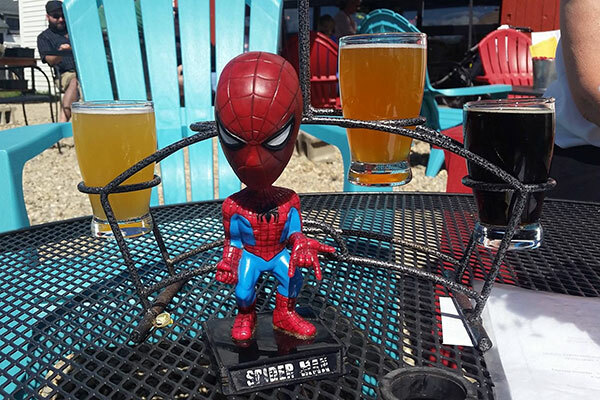 Located south of Charlotte, Legal Remedy embraces a legal theme where “justice is served.” The bar taps are judge’s gavels and the over 21 crowd can choose from 24 taps, such as Motion to Strike Milk Stout and Golden Rule Golden Ale. 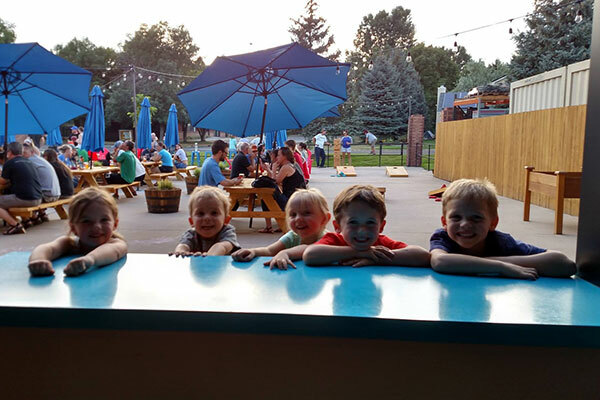 Kiddos can order up the Recess Break Root Beer, either straight-up or in a float, while they play a game of corn-hole. Also on the menu: crave-worthy deep-fried moon pies. Intersect Brewing – Fort Collins, Colo.
Get those little bellies up to the bar at this craft brewery, which in addition to beer, also makes its own natural sodas. 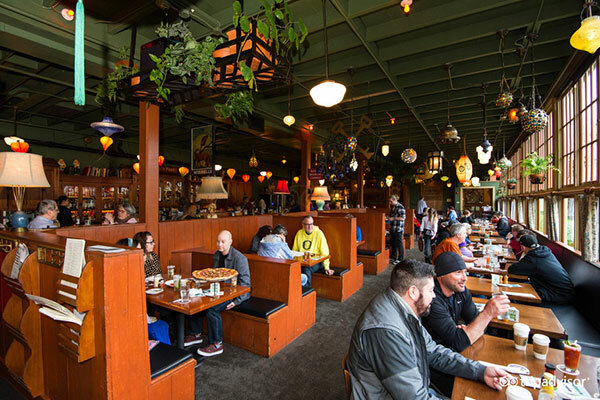 Tiny aspiring foodies will find more to love beyond the typical mac-and-cheese kids menu, too at Stone Brewing – braised pot roast and a beef brisket bowl are some of the pint-sized selections. 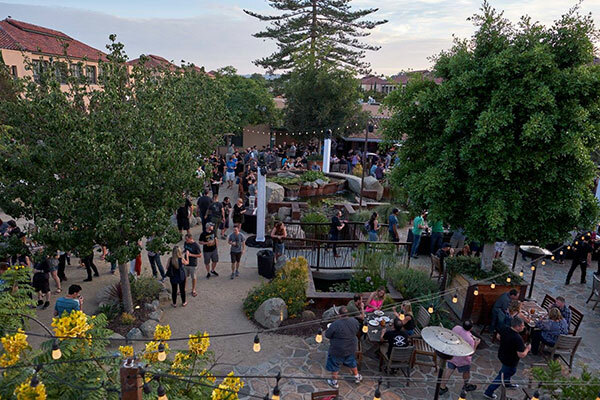 Outside on the one-acre beer garden with two outdoor bars, there’s a bocce ball court, fountains and gaming area, as well as fire pits and special movie nights scheduled year-round. 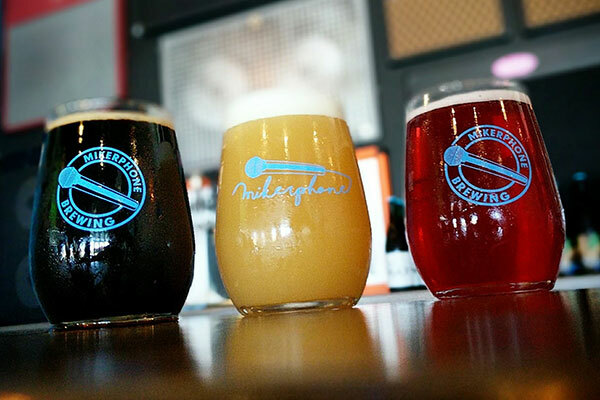 Mikerphone – Elk Grove Village, Ill.
Midwesterners love this sleek brewery hangout, which takes inspiration from music and serves up a rotating menu heavy on the IPAs. There’s games and LEGOs, changing tables in the restrooms, and a laidback vibe families love. There’s no food menu, but food trucks often stop by, and you can always BYO Chicago-style pizza or sandwiches. 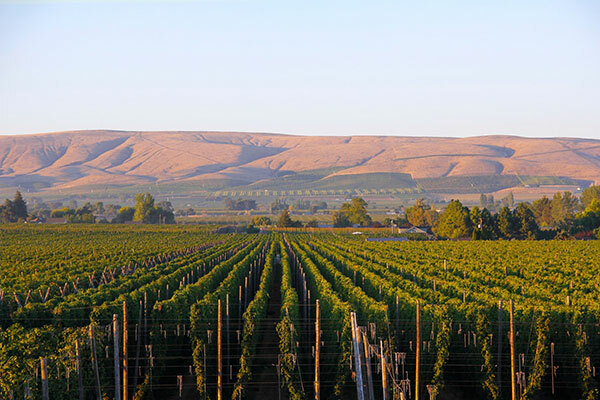 Bale Breaker Brewing Company – Yakima, Wash.
Take your family out to Bale Breaker, located in the Yakima Valley (which produces 75 percent of the nation’s hops). This location is situated in the middle of a hop field with plenty of space for the kids to run and play with the hula hoops and yard games like corn-hole. Keep it hoppy with a “LolliHop” treat from nearby Yakima Hop Candy and a pie from HopTown Pizza.